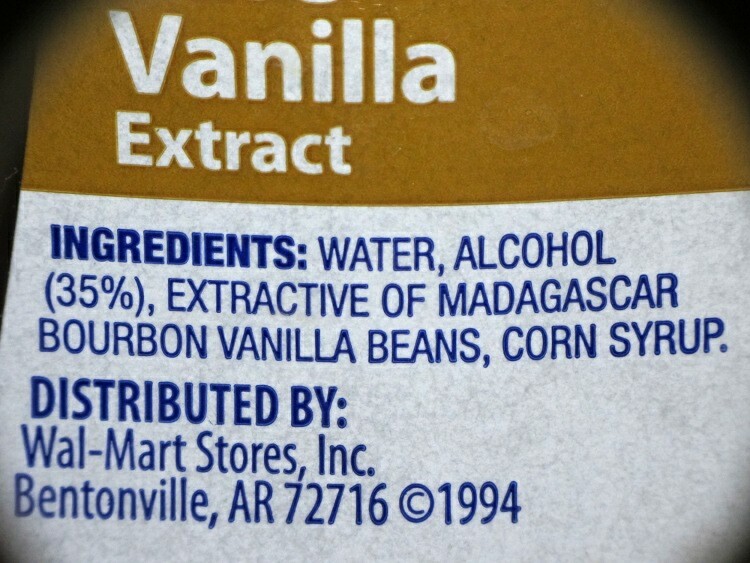 This look at the ingredients found in various commercial vanilla extracts (plus their prices) finally pushed me over the edge into brewing up that DIY vanilla extract. 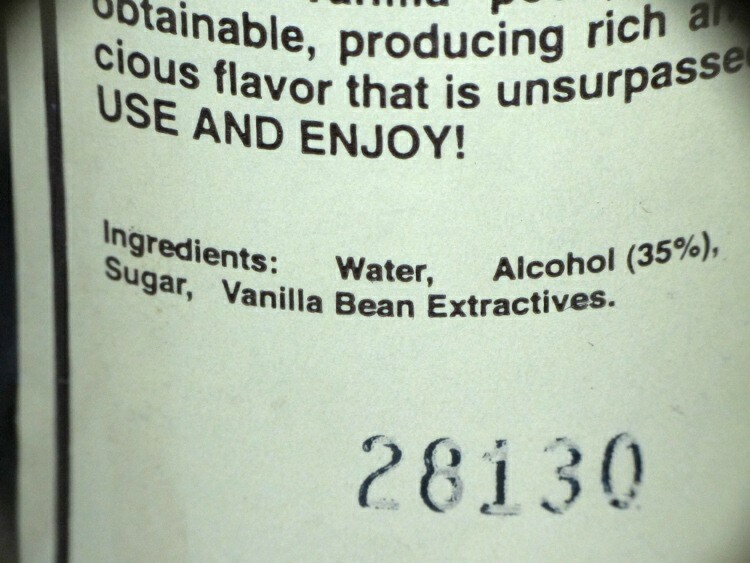 All three extracts have “Pure” on the label, which (according to Wikipedia, anyway) means that they have at least 13.35 ounce of vanilla bean per gallon of extract. I didn’t weigh the three beans in my 8 ounces of hooch, but I suspect they weighed far less than the regulation 0.834 ounce. Next time, for sure, I’ll go for triple strength extract! These full-frame pix used my new close-up lens gizmo; even with some vignetting the results seem perfectly usable. Normally I crop pix down to the central section, so this will be as bad as it gets. This entry was posted on 2011-11-24, 07:40 and is filed under Home Ec, Oddities, Photography & Images. You can follow any responses to this entry through RSS 2.0. Both comments and pings are currently closed. 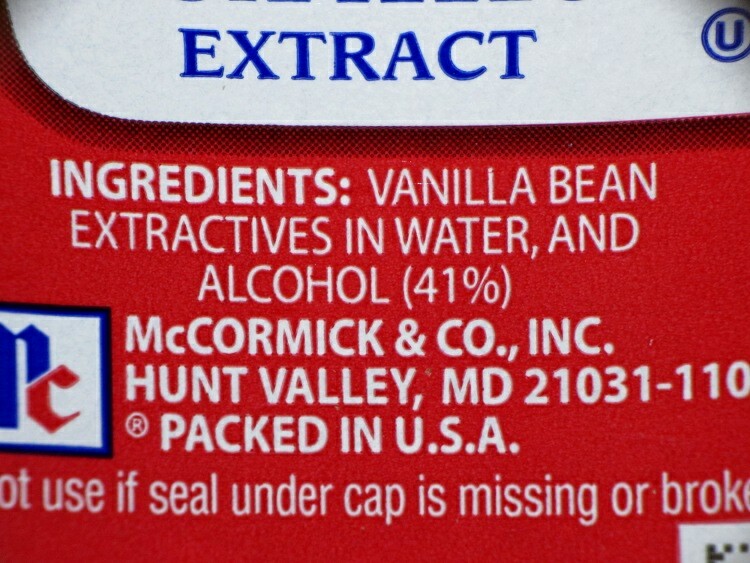 RE: your preceding post about DIY extract: I don’t know if it would make any difference to you, nor if it can be shipped to NY, but Everclear comes in 190 proof and is available online from several retailers. http://en.wikipedia.org/wiki/Everclear_(alcohol) It’s probably wrong, but Wikipedia says you can buy it in NY.